Joe Sixpack - What Does It Mean? What does the term "Joe Sixpack" mean in the world of politics? What is meant by the term "Joe Sixpack"? In politics, "Joe Sixpack" refers to the working class "everyman". 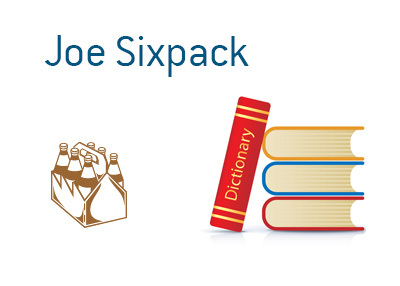 "Joe Sixpack" is the firmly middle class working man that likely has a wife, kids and a mortgage. "Joe Sixpack" has many problems that he deals with on a regular basis, including having enough money to pay the bills. When it comes to the political world, winning the vote is "Joe Sixpack" is extremely important to any candidate. While politicians will certainly court the influential (and wealthy) 1% vote, winning over "Joe Sixpack" is necessary for any candidate for political office to win. Any candidate for political office will have to have a plan to solve the problems of "Joe Sixpack" if they want to have a chance at winning office.